The Federal Communications Commission is taking action, and wireless carriers are now on guard. Once the government department's new net-neutrality rules took effect on Friday, Sprint stopped throttling customers on unlimited plans, according to The Wall Street Journal. The carrier says its policy would have been allowed under the new rules, but it made the change anyway just to be sure. Sprint made this decision a few days before the FCC fined AT&T $100 million for making misleading promises of unlimited data. The carrier, which no longer offers such plans, throttled customers who went over unspecified data limits and didn't notify those affected. This slow experience, well below advertised speeds, violated the 2010 Open Internet Transparency Rule. 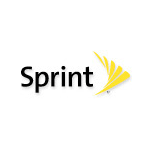 Sprint faced a similarly sized fine just six months ago for overcharging customers for unwanted text messages. With the FCC not hesitating to slap companies on the wrist, it's understandable why some would choose to exercise caution going forward.